Trip and falls, or “slip” and falls, depending on what caused your body to unexpectedly impact the ground, are a specific type of personal injury lawsuit we at James Newman, P.C. specialize in, as they are one of the most common types of serious injury lawsuits that occur in the Bronx and New York City every day. Why? Well, there are a lot of people who do a lot of walking in and around this City. On sidewalks, out of buildings, up/down staircases, on steep surfaces, on ice/snow…basically every public or private space and surface you could possibly imagine. However in order for you to maintain a slip and fall case you must first and foremost be injured. This is what we call damages. Bumps and bruises, even a strained ego, would not amount to something that would be actionable (at least in our practice) in the realm of slip and fall lawsuits. 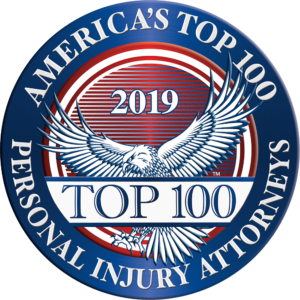 The types of injuries which would warrant suing a culpable party must be significant, typically involving broken bones, torn ligaments or tendons, or traumatic head injuries. In most slip and falls we see clients that are rushed from the scene to the hospital by ambulance, or seek urgent medical attention following a trip and fall. Sometimes our clients require emergency surgery, are admitted to the hospital, require long periods of physical therapy and rehab, and in many cases are forced to stay home from work due to being incapacitated or even permanently disabled. As you can imagine the degree and location of an injury varies in each case and in each person. Someone with a physically demanding job such as a nurse or construction worker, or even someone that drives for a living, will be substantially impaired because of an injury to their extremities that impairs walking, sitting, standing or lifting. And make no mistake, trip and falls can be devastating and something we all can relate to. Even if you haven’t been severely injured from a trip and fall, everyone has lost their footing, slipped or tripped on something at least once in their lives. Whether it was a slippery substance we didn’t see on the floor at the supermarket, or a raised crack in the sidewalk that our toe got caught on, all of us should be able to empathize with being injured in a trip and fall. Just consider the force in which someone’s body could impact the ground following a trip and fall. Depending on the surface, the grade, the size of the person, the degree of the defect, the slipperiness of the substance, and the way in which a person is moving, it is easy to envision how an awkward fall to the ground could be so forceful to cause broken bones or torn body tissue. So let’s say you were injured, then what’s next? Well the second part of any slip and fall case, which is of equal if not greater importance, is something called liability. This is determining whether or not there is a culpable party responsible for the defect or danger that caused your injury. Proving liability in a trip and fall case stems from one very important legal principle: notice. In order for a culpable party to be held responsible for someone’s injuries resulting from a slip and fall that party must have had at least some notice of the defective and dangerous condition and failed to remedy it before someone was injured by it. In order to prove notice you can do it in one of two ways; by proving either (1) actual; or (2) constructive notice. Let’s start with the actual…. Actual notice is exactly how it sounds. The responsible party actually knew of the defect by their own personal knowledge of it and failed to remedy it before your accident. Actual notice can be obtained by a defendant seeing the condition with their own two eyes, knowing of prior accidents being caused by the same condition, or receiving complaints about the danger and not remedying it in order to make the surface reasonably safe to walk upon. Constructive notice on the other hand is a little more conceptual, but equally persuasive. Under the law, we say that a person has constructive notice of a fact when it is so obvious that the person should have known about it that there is no way that a reasonable person in their shoes would not have taken it upon themselves to repair it before the accident occurred. In the case of premises liability, a property owner has a duty to know the condition of their property. This duty may include making periodic inspections, and either fixing dangerous conditions such as broken steps or handrails or tears in the carpet, or providing signs or placing cones warning of the danger. This is especially true of businesses where the public is invited in for the benefit of the property owner such as grocery stores, shopping malls, even banks or hospitals. A dangerous condition like a broken step will be there until it is fixed, but some hazards are only temporary or appear without warning. Many dangerous conditions may even be created by another customer. Examples include food or drink spills in grocery stores or restaurants, or merchandise in a clothing store dropped on the floor. This is why it is so important for retail stores and others to establish regular inspection routines and train their employees to be on the lookout for tripping or slipping hazards. So why do we use Constructive Notice? It is not always possible to prove actual notice, but constructive notice can be shown in many ways. If you trip over a box in the aisle, you may not be able to prove that the owner knew the box was there, but you may be able to show approximately how long the box was there and that it should have been picked up before you tripped over it. The same principal can be applied to snow and ice that is not removed after a storm, or in the case of a slippery surface from a broken container on the shelf of a grocery store. The common thread in these cases being that property owners have a duty to take reasonable precautions, and set in place reasonable measures and routines to keep patrons and the public safe. Proving constructive notice is often essential to a successful premises liability case and can only be done through careful and thorough investigations in order to prove that the defendant either knew or should have known about the dangerous condition but did not take reasonable steps to fix it. We at James Newman, P.C. cannot overemphasize the importance of documenting your fall by taking photos or videos of the defective condition at the scene. It is also crucial to call the police or ambulance so that the location of your fall will be easily proven later on. If a fall occurs within a store or private/public building be sure to notify either the store manager or landlord in order to show them what caused your fall, so that an accident report can be prepared. Always request a copy of the accident report and be sure to take down the names, addresses and telephone numbers of any witnesses that saw the fall happen. If you find yourself injured as a result of a slip and fall don’t feel embarrassed, especially if you did nothing wrong to cause your fall. Lawsuits like these are just one of the many checks and balances of our society which enforces a reasonably safe environment for us to walk in and around the Bronx and New York City. Nobody deserves to be injured as a result of a trip and fall and we are here to help. So if you or someone you know is injured as a result of a trip and fall let our family of skilled and experienced attorneys give you a helping hand to get you back on your feet again. Give us a call or stop by the office today.